You probably could have guessed that this was coming after I did Halloween Bingo and Thanksgiving Bingo! 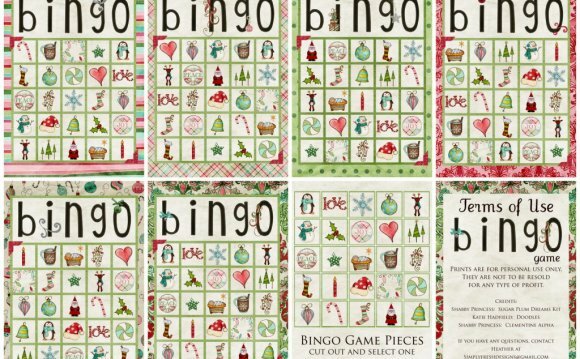 I’ve had a lot of fun making these games and playing Bingo with my kids and their friends. Today I’ve got a free printable Christmas Bingo ready for you! This works great for a class party or any Christmas party you are throwing or just on a cold winter day to play at home with your kids. I like to take them with me to the class parties and play it with small groups. We also played it at a family holiday party and the kids (of all ages) had fun. It’s so easy and simple but fun. And honestly it was a lot of fun to put together too. The game board has Santa and stockings, penguins and snowflakes, presents, ornaments, lights and more.